Peacocks, parrots, Christmas Tree men, hills, mud, stunning views, motorcycles, sunshine, woodland and the tallest folly in the UK. 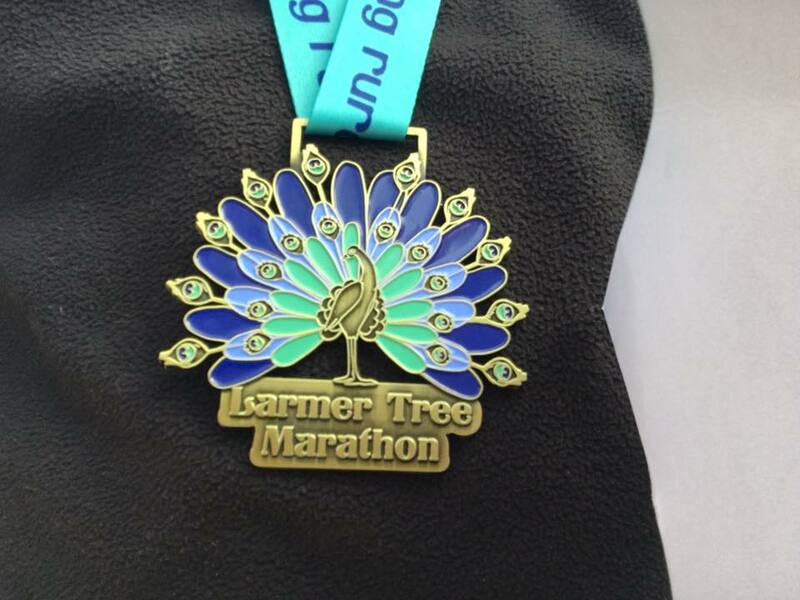 The Larmer Tree Marathon pretty much has it all, save for a distinct lack of llamas. What’s going on? I have suggested it be renamed The Peacock Marathon but this has yet to be ratified by any statutory body. I arrived at the Larmer Tree Gardens near Tollard Royal in Wiltshire sans Richard, who had decided to please his better half and run a marathon closer to home. It was a cold but bright morning on the Dorset Wiltshire border and I began the day with a latte from the coffee van positioned right on the start line. When I looked up, sitting in the tree opposite, was a brightly coloured parrot and a peacock. I remember going to Edinburgh for the Half Marathon and staying in a beautiful hotel where I saw peacocks sitting in trees for the first time. Before that, I never knew they slept in trees. I missed filming the parrot, but I caught the peacock a little later. Larmer Tree Gardens is situated in the grounds of the Rushmore Estate and is used as a wedding venue. It’s terribly pretty. I was caught in a bit of a dilemma. I needed to do my usual pre-race filming but the queue for the toilets was getting very long. I decided to get the filming done as quickly as possible and then join the queue. I made it in to the queue and got half way to the front before I realised I’d left my spare GoPro battery and SD card in the car. Cheekily I asked if anyone would mind if I ran back to the car quickly and then rejoined the queue. Given my experience at the Heartbreaker Marathon, I didn’t want to risk missing vital parts of the race because of a full SD card or a dead battery. Andy, the Race Director, gave the race briefing in his own inimitable style. “Don’t talk to the locals, they’re not very nice”, “You will be dodging some angry pregnant sheep” and “Carolyn is a sweeper, she is NOT a pacer”. With that we were off. For a variety of reasons the course had to be re-routed two or three times during planning, the last re-route being the day before the race. But one of the joys of a White Star event is the signage. There is no doubt where you are headed. Everything is clearly marked and you are even given a pep talk en route with signs such as “Hurry up FFS” or “You paid money to do this”. When you get to a hill there’s a sign which says “Up” and a big arrow pointing up. 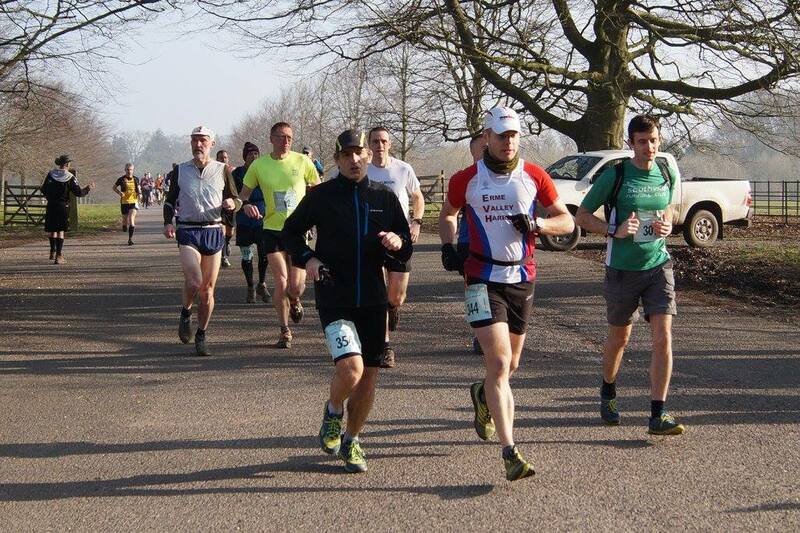 The early part of the Larmer Tree Marathon consisted of a small amount of tarmac running to get off the main part of the estate and then we were straight in to a forest. One more section of road and then it was trails virtually all the way. There were well trodden forest tracks, soft grass fields and chalky trails. There were lots of flat fast sections and plenty of short sharp hills. Then at around 18 miles there was the killer monster hill. Not especially steep, but very long and energy sapping. I had made a conscious decision that I was going to try and run up every hill. Thankfully, having not done this course before I had no idea how long this particular hill was going to be. So I just kept on running until I got to the top. It was a long way and I am very pleased that I managed it. Good training for Transvulcania in a few weeks. What was very pleasing about the route was that at the top of every climb there was a very decent view, which made the climb all the more worthwhile. I chatted to a few people as I went and made the most of the aid stations. The Lovestation at 20 miles is a particular feature of White Star Running events. It’s a larger aid station with much more in the way of food and drink. If you want a cider or even a shot of vodka, you can get it at the Lovestation. I’m waiting for the day they get the coffee van up there and I can order a Grande Latte at 20 miles. That would be sweeeeeeet! There’s also cake, sweets, savoury snacks and I think we had strawberries at the Giants Head Marathon Lovestation. I have been running a good few marathons lately so taking it easy round this one was nice and meant I didn’t get too tired. Coming to the last mile I was able to run up the cheeky final climb and past what is apparently the tallest folly built in the UK in over 100 years, to the finish. For those that don’t know, a folly is a building which serves no purpose. The folly on the Rushmore Estate is 65ft tall and was built by William Gronow-Davis. It was originally supposed to house mobile phone masts and was to have been paid for by O2. But when they pulled out William Gronow-Davis went ahead anyway, spending tens of thousands of pounds to have it built in an Indian Mogul style to reflect the sub continent where he was born. I love the finish to White Star events. The line of flags makes the finish line a real spectacle as you approach. I crossed the line in a respectable 4 hours 26 minutes in something or other position, and picked up my lovely peacock medal. As I say, I have put in a formal request to have the name of the marathon changed to The Peacock Marathon on account of the severe lack of actual llamas in the Larmer Tree Marathon, and I am expecting a reply any day now. Granted, there are plenty of trees, but you can’t call it the Tree Marathon. I’m sure they will see the error of their ways. Despite this, The Larmer Tree Marathon has to go down as one of my favourite marathons. It’s partly the lovely course, it was partly the lovely weather, it was partly down to the organisation but mainly, you know, it’s down to the people. Happy people, doing happy stuff, in a happy place. It’s basically the modern equivalent of hippies listening to Hendrix at Woodstock in 1969. And with that, I don’t think there’s anything more needs to be said. If you want to experience it for yourself, go sign up for a White Star Running event now and share this Larmer Tree Marathon race report and video with your friends and running buddies. Great race report! I’m glad you enjoyed it – I loved doing the 20. White Star put on some cracking races! I can also explain the lack of llamas. The name Larmer Tree doesn’t come from llamas at all! In fact, a Larmer Tree is a tree that sits on the edge of three counties, and extends roots into each. 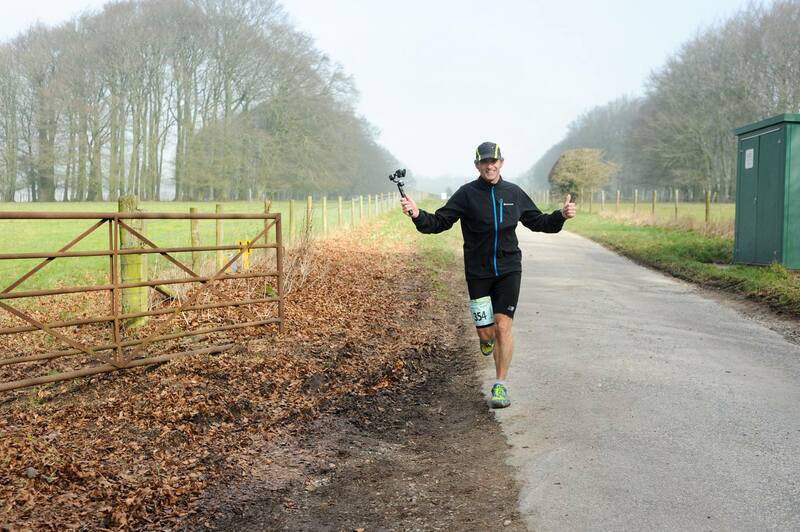 The Larmer Tree gardens is in Wiltshire, Dorset, and Hampshire, and the Larmer Tree is situated just inside the hedge that was on your right just after you went over the start line. If you’re ever back there, go looking for it, there is a small obelisk next to the tree with the three counties on it. Hi Abi, thanks! I hope you understand I was being rather sarcastic and probably mildly facetious regarding the Llamas! I’ll definitely seek out the tree next time though. Brilliant race report. So interesting.